FALL WINTER 2017-2018 Barbara I Gongini shaggy wool coat has a relaxed fitting silhouette through the body. 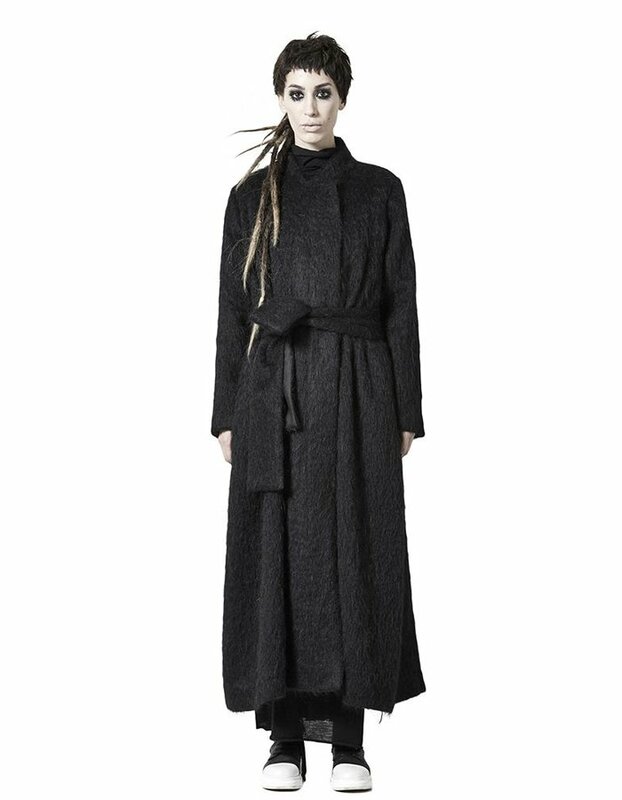 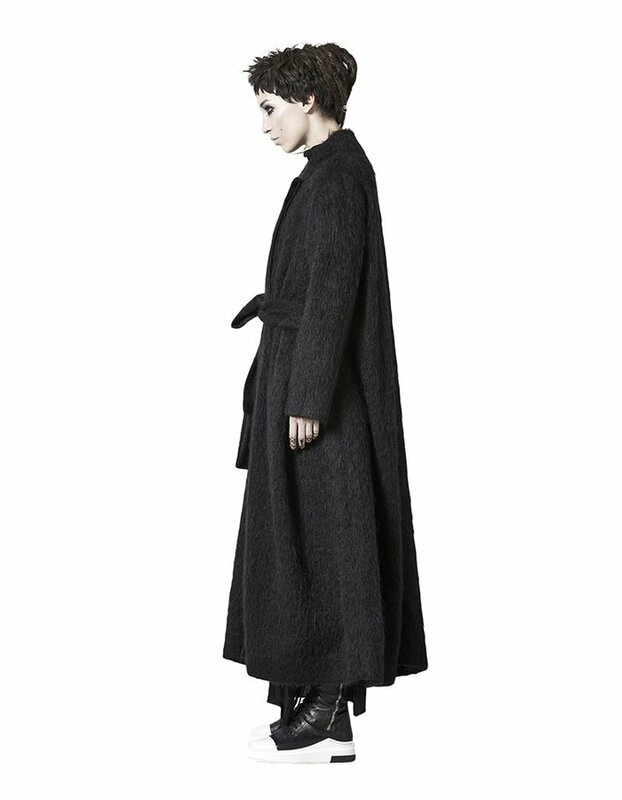 The coat has been hand cut and sewn from a heavily textured mixed alpaca fabric. 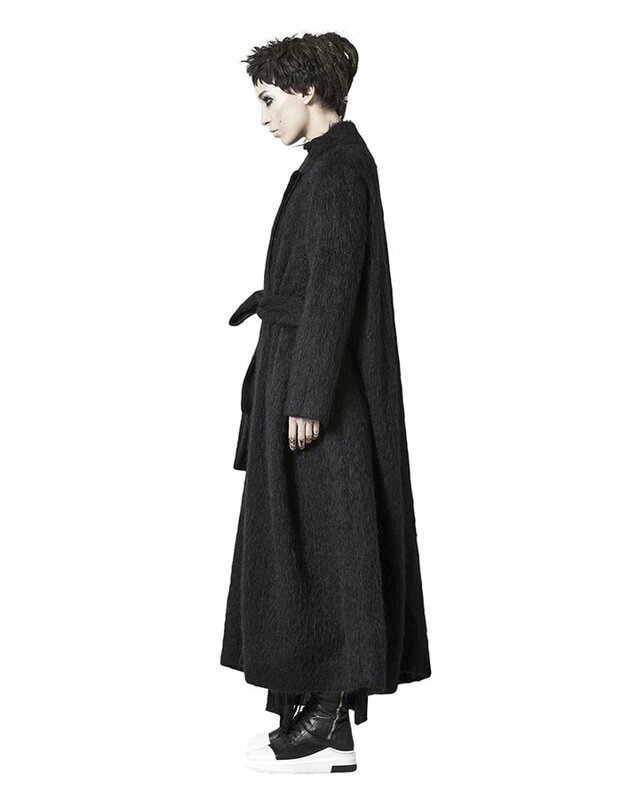 Two seamed pockets to the front are complimented by the rear vent. FEATURES: - Shaggy wool coat - Classic panel construction - Waist tie detail Materials: 40% Virgin Wool 22% Alpaca 22% Mohair 16% Polymide Washing Instructions: Dry clean only.